Lung cancer. 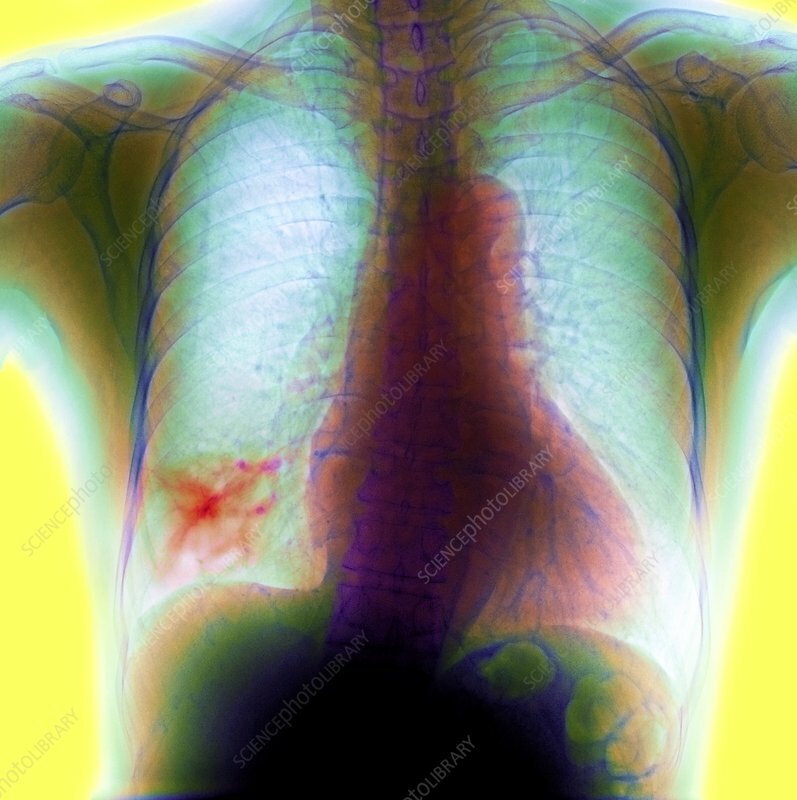 Coloured chest X-ray with a bronchial carcinoma (red, lower left) in the patient's lower right lung. The heart (red, lower right) is obscured by the sternum in front and spine behind (dark blue). The shoulder and rib bones are seen, as well as the upper abdomen. This is a carcinoma, a malignant growth (cancer) of epithelial tissue, the tissue that lines the skin and the inside of the airways (bronchioles) of the lungs. It is caused by atmospheric pollution and primarily by smoking, causing coughing and breathlessness. Radiotherapy and surgery are suitable for some lung cancers, but the prognosis can be poor.